I have reached the end of series 1 of House of Cards. 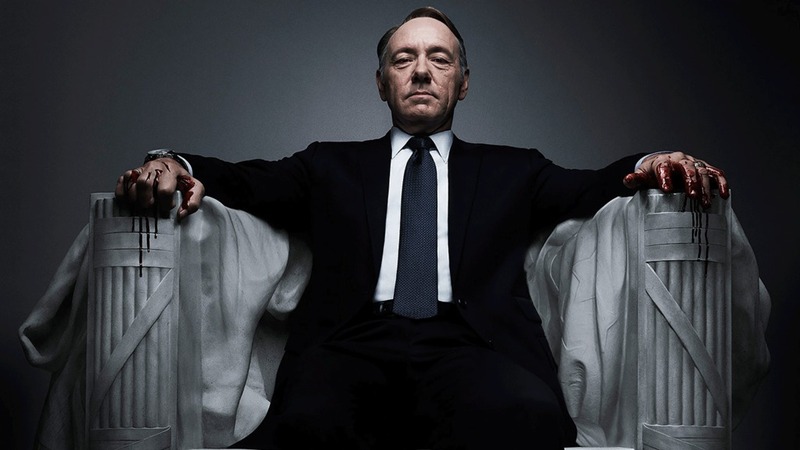 For the uninitiated, it’s a thirteen episode story of the rise and revenge of a ruthlessly ambitious politician, Frank Underwood, set in present-day Washington, but based on a British novel and TV series. Engrossed, I still ask myself what it means. (And what it means that I like it so much.) In the same way I ask myself why I care so much about the machinations of federal politics in Australia. I can excuse my interest in ideology, and policy, but why do I care so much about the personalities, and the ‘politics’ in the derogatory sense of the word? Oh, no doubt it’s the Machiavelli in me. My aside to the audience, Frank style: There used to be no Frank in me at all; I determinedly lived as the lamb to the slaughter, playing life with an open hand for all to see. One can only do that for so long, for so many times. But most would-be-Franks are not as subtle as they think. Nor can they see as far ahead as him. Why did Joel Schumacher come along and wreck two episodes in the middle? He is the worst director in Hollywood. Reference: Batman and Robin, the movie which spoiled my adolescence. He squandered most of what was good about the show in his two outings. He made them feel like episodes of West Wing on a bad day, the episodes of Frank vs. the education union, fizzing out in that predictable American subplot of the hero finding an innovation to solve the day (‘let’s stage the gala party outside’; ‘let’s offer food to the protestors’). House of Cards is not about cute punchlines. Go away, Joel Schumacher, and do not come again. David Fincher, on the other hand, you are welcome any time. Did you know Robin Wright, so tall and skinny and middle-aged in this, was Buttercup in The Princess Bride? I certainly didn’t, till IMDB told me. That’s messed up; I didn’t know so many years had gone by. Don’t get me wrong: she is beautiful still. But somewhere, surely, Buttercup’s still young. Back to meaning. What it ‘means’. Back to drama. Is there more to it than carthasis? Is it mere diversion? Of course it is. It’s about how we live and why we live. House of Cards is a masterpiece of the screen because in it we have all of life. We live out our own dilemmas writ large, and our own anxieties, and our cultural identity. Perhaps it is vicarious living, but in a way which makes us think more deeply about our own life, or should. It is all the spheres of life – marriage, politics, the office, recreation. It hints at things we don’t know in ourselves and in each other. It has enough depth to justify those eleven hours of my life. I hear the English version is even better: when I have finished this, I must look for it. House of Cards has not popped up on my radar as yet. Must check it out. Sorry that my comments always miss the point of your blogs, but your next blog MUST be ‘How Batman & Robin ruined my adolescence’.